The RSMSSB Informatics Assistant Syllabus 2018 is provided in this article. And also we furnish RSMSSB Informatics Assistant and Sanganak (Computer) Exam Pattern and Selection Process is given through this page. Many job seekers are willing to attend for RSMSSB Informatics Assistant Written Exam. And before going to enter into RSMSSB IA & Computer Written Test, candidates have to download RSMSSB Informatics Assistant Syllabus 2018-2019. And at the bottom of this page, we arrange RSMSSB IA & Sanganak (Computer) Syllabus 2018 is given in PDF format. So contestants can download the RSMSSB IA Syllabus with free of cost. Contenders who are interested to attend for RSMSSB Informatics Assistant, Sanganak (Computer) posts. Aspirants have to prepare well for the written exam. After applying for RSMSSB Informatics Assistant & Sanganak (Computer) Recruitment, participants have to take a look at RSMSSB Informatics Assistant Syllabus 2018-2018 PDF. And begin your preparation with the syllabus and get qualification marks in written test. Contestants have to prepare a time table to complete entire Syllabus. Becuase there is a lot of competition for aspirants who applied and appeared for Written Test. Candidates can apply for RSMSSB Informatics Assistant Post from 8th March 2018 to 6th April 2018. And RSMSSB Sanganak (Computer) Application Process starts from 26th February 2018 and the last date is 27th March 2018. In this web page, RSMSSB Informatics Assistant Syllabus 2018 and Exam Patten is attached here. So follow this article to get good marks in the Written Test. Huge contestants are searching for proper RSMSSB Informatics Assistant Syllabus 2018-2019 in various portals by wasting their valuable time. So to save your time we furnish subject wise topics and Syllabus is given through this page. And also we give RSMSSB Informatics Assistant Exam Pattern in a clear way. If applicants check this page, they can secure top marks in the exam. Because we provide RSMSSB Informatics Assistant and Sanganak (Computer) Exam Pattern in the next section. The exam pattern contains the name of the subjects, number of questions, maximum marks and total time duration is given here. 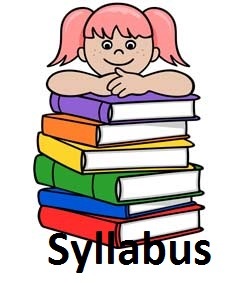 A syllabus is very important to get good marks in the exam. And participants have to focus on each subject, then you did not feel stress during the examination. For more information such as Syllabus, Results, Admit Cards stay in connect with our portal that is Recruitment Syllabus. Contenders have to download the RSMSSB Informatics Assistant Syllabus 2018 before preparing time table. Competitors have to refer this page repeatedly to know the latest information about RSMSSB Informatics Assistant Syllabus 2018-2019 PDF. Because Rajasthan Subordinate and Ministerial Service Selection Board have changing syllabus every year. So bookmark this article and prepare well for RSMSSB Informatics Assistant Sanganak (Computer) Written Test. As early as possible job hunters have to download the RSMSSB Informatics Assistant Syllabus 2018 PDF. Because many aspirants already applied for RSMSSB IA & Sanganak (Computer) Recruitment and start their preparation. To enhance this opportunity to know the information about Syllabus, Exam Pattern and Selection Process. The Written Test is organized through online. So carefully prepare for the exam and get hired in RSMSSB Informatics Assistant and Sanganak (Computer) posts. The RSMSSB Informatics Assistant and Sanganak (Computer) Written Exam is conducted by Rajasthan Subordinate and Ministerial Service Selection Board. And contestants need to attend for all rounds to get the recruit in RSMSSB IA & Syllabus Sanganak (Computer) Posts. The selection process contains two rounds they are Written Test, Typing Test and Personal Interview along with Document Verification. The RSMSSB Informatics Assistant and Sanganak (Computer) has to get eligible marks on each subject. The RSMSSB Informatics Assistant consists of two parts. Part A includes General Knowledge and Part B Statistics, Economics and Mathematics. And each part has 30 Questions. Part A has 30 Marks and Part B includes 70 Marks. The total number of questions is 100 and maximum marks are 100. And RSMSSB Informatics Assistant Syllabus has various subjects. Part A has three subjects they are General Knowledge, General Studies and Computer Knowledge. And the number of questions is 100 and a total number of marks is 100 Marks. The total time duration for Part A is 2 Hours. And Part B has two subjects General Hindi and General English. To complete time duration for Part B is 30 Minutes. And it has 30 Marks with 30 Question. Each question has 1 Marks. RSMSSB Informatics Assistant has negative marks. And 1/3rd marks will be deducted from every wrong answer. We hope the information given in the above article is useful to the candidates who applied for RSMSSB Informatics Assistant and Sanganak (Computer) Written Test. Ans also we update individual exam pattern in subject wise topics and given in an effective way. And also we provide RSMSSB Informatics Assistant Syllabus 2018 in PDF format. So click on the link and download the RSMSSB Informatics Assistant and Sanganak (Computer) Syllabus and prepare well for the written exam. Design of Sample Survey: Sampling Unit, Sampling frame, Sampling fraction, Sampling with and without replacement, Population Parameter and Sample estimator, Simple random sampling, stratified random sampling, systematic sampling, cluster sampling. Collection, Classification, Tabulation and Diagrammatic Presentation of data. Measures of Central Tendency, Dispersion, Moments. Correlation and Regression: Correlation and its coefficients, Linear Regression. Index Number: Uses, types, and limitations of index numbers, construction of index numbers, simple and weighted aggregate method, Simple and weighted average price-relatives, Chain base index numbers, Base shifting, Cost of Living index numbers. Time Series Analysis: Components, Measurements of Trend, Seasonal, Cyclical and irregular variations.